In Curitiba, on Friday (29), the sun rose to 4.9 ° C of micromanagement. Throughout Paraná, the lowest temperature was 0.2 ° C in Baran, South. For the next days, temperatures should follow low, rising from 10 ° C minimum only on Monday, according to the Institute weather Simepar. Snowing in April is a rarity. To date, only had snow news in Brazil in April between 16 and 17 months in 1999, according to the Met Office South, which, in 2013, when it snowed in Curitiba, was the first institute to predict that the phenomenon could to happen.According to the institute, it is probably not a coincidence snow this year and 1999. According to meteorologists, the explanation is that when the El Niño begins to lose steam temperatures follow exactly the patterns for the season, which should bring one of the coldest winters ever. To give more credit to it, remains to remember that in April last year, made no less than 10 ° C in Curitiba. For now, there is no need to will snow in Curitiba, but in a winter that promises, why not? 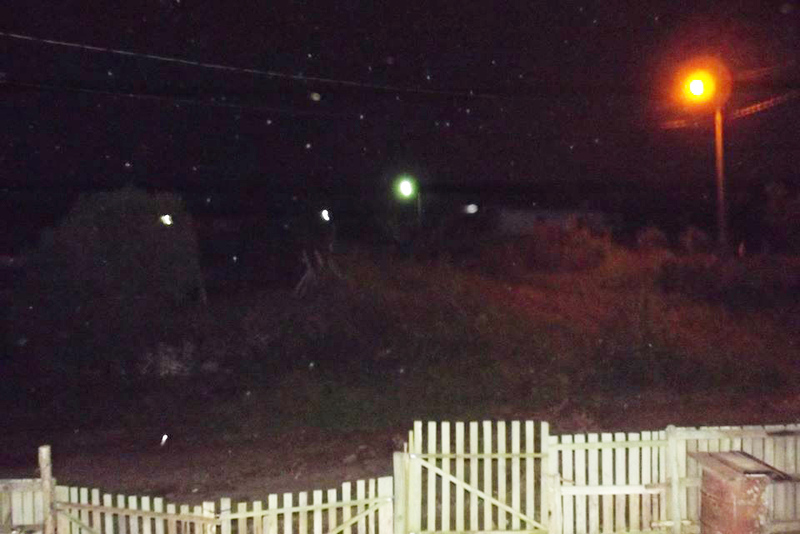 Was recorded late on Wednesday (27), around 20h 15min, snowflakes in the urban area of ​​San Joaquin. The photo is of Giuliandres Hugen, who recorded the first snow in San Joaquin town in 2016. The forecast is for more snow during the night. On the morning of Friday (29), the San Joaquin dawned frozen fields. With the cold air mass that is on the state, a beautiful frost was formed, bringing beautiful landscapes freezing in São Joaquim. According to Ronaldo Coutinho, the temperature was extremely low in most of SC at dawn, with minimum temperatures between -3/5 ° C in most of the state , “Frost was wide, stronger in the West, Midwest and plains, isolated on the high points of the Itajai valley and the top of the mountain region of Florianópolis, and intense above 900 m (lowlands and valleys) “ said the meteorologist. Are Joauim set a record, reaching -6 °. The cold will predominate during the weekend. As the northern hemisphere gets its last low blows from Old Man Winter, the southern hemisphere is getting cheap shots from the same Old Man. 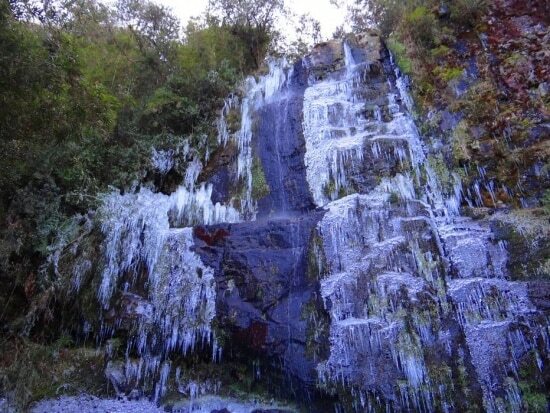 Brazil: Santa Catarina registers -7.2 ° C and waterfall freezes. 06/12/2016. No wonder that Urupema, Sierra Santa Catarina is considered the coldest city in Brazil. At dawn on Friday, 1, thermometers marked -7.2 ° C, the lowest temperature of the year. The cold also reached other 42 cities, which are below zero. In Bom Jardim da Serra made -6.1 ° C and -5.2 ° C High Bridge. In other parts of the state the minimum did not exceed 7 ° C.
In the Upper Plateau South, the landscape froze. The trees were decorated with drops of ice crystals, waterfalls stopped running, turned into stones, houses and lawns were painted white. In Urupema, waterfall froze. According to meteorologist Gislânia Cruz, the Meteorological Center of Santa Catarina, Epagri / Ciram, the cold will remain intense until next week. On Saturday morning, the forecast is frozen and snow rain. In Florianopolis, the mercury plummeted to 2.3 ° C. Over the past 22 years did not like cold in June. Rigidity in temperature is explained by polar air mass reinforced by a coming air mass of Patagonia. Registration was Urupema, one of the coldest cities in the country. In Serafina in Serra Gaucha, thermometer marked -4.9 ° C.
In the south, temperatures are even lower. 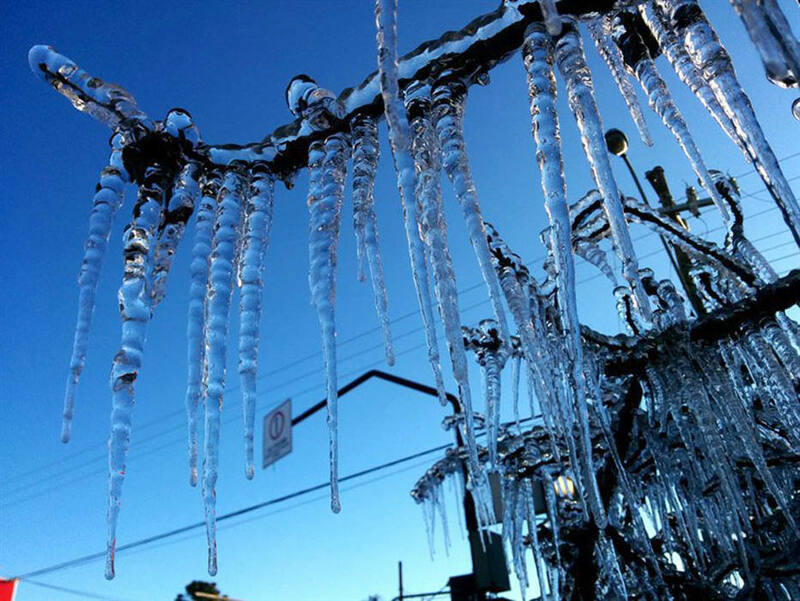 In Urupema, Santa Catarina, one of the coldest cities in the country, the thermometer of the square marked two degrees below zero just after 20h Saturday (11). And the temperature keeps dropping. The cold reached seven degrees and two tenths below zero. Then we had a geadão (?) those, leaving the landscape all white. And yet another phenomenon, called icicle. It happens when ice crystals suspended in the mist touch the vegetation and ice. Tourists stopped to record the phenomenon, and also lined up close to see the waterfall freezes. A chance of snow has passed it. But the cold continues and will tighten. According to the weather, thermometers in Urupema should reach eight degrees below zero, noting that the thermal sensation this Saturday, which is the cold that we feel on the skin in wind function, reached 26 degrees below zero. Freezer temperature. So much warm clothing to face the cold end of the Santa Catarina mountains. Brazil, 13/06/2016. Florianópolis has the largest cold in June of the last 115 years. Cold was strengthened by the appointment of a polar mass with another of Patagonia; temperature should rise during the week. Urupema recorded on the morning of Monday, the 13th, the lowest temperature of the year in the state. 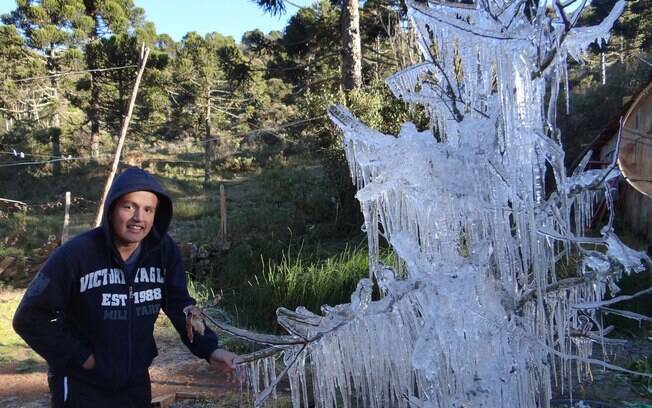 There is no shortage of cold records in Santa Catarina. In the early hours of Monday (13) Florianópolis recorded, according to the ClimaTerra, only 0.6 ° C, the lowest temperature recorded since the installation of the oldest weather station of the city, 115 years ago. The capital of Santa Catarina had recorded 2 ° C in 1994. The expected for this time of the year would be minimal at least 10 ° C. At dawn on Monday, made -8.5 ° C in Urupema, in the hills, considered to be the coldest city in Brazil. According to the Meteorological Center of Santa Catarina, Epagri / Ciram, this is the lowest temperature of the last six years. 42 other cities had negative temperatures this week start. 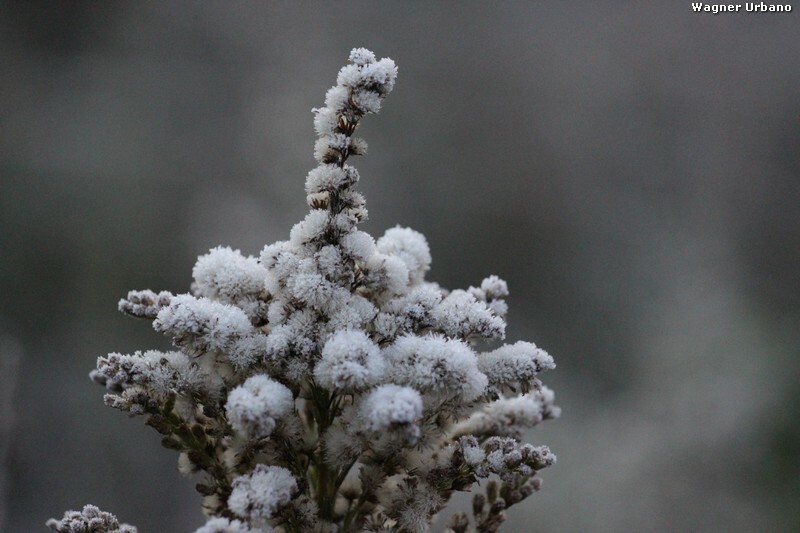 In Bom Jardim da Serram made -7.9 ° C; in São Joaquim, -5.7 ° C; in Union, -4.6 ° C; and São Bento do Sul, -4.4 ° C. Moreover, it is the sixth consecutive day of frost, a phenomenon considered rare. Not only are the gardens, the trees of the squares and the waterfalls of conservation parks that froze. Many highlanders were without water at the weekend, which froze in the taps. The banks of the River Pelotas, in Bom Jardim da Serra with 50 meters wide, also turned to stone. “It’s very rare movement in water freezing in Brazil,” he explained the agronomist of ClimaTerra Ronaldo Coutinho. The average temperature of the mountain is equivalent to December in New York. “Winter” surprised to have started earlier, on April 26, which did not occur for nearly six decades. Another issue is the sequence of negative temperatures. Since June 1, the cooler the mountain towns are below zero. Over the weekend, he came to fall a little snow.